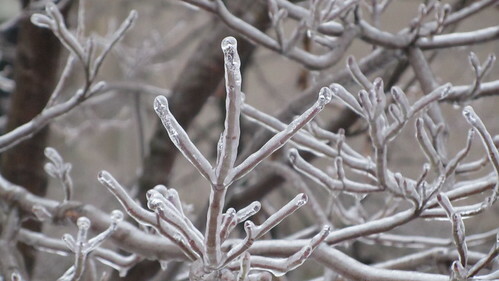 This week February began and with it came the ice storm! As I was walking out of my building that morning I remember my doorman telling me to be careful. Then I saw my entire path covered in ice and knew at that moment that I’d just have to brace myself now for the fall that I would inevitably suffer on my way to the train. I wobbled and slid and moved at a snail’s pace but somehow I maintained enough control to remain upright the entire way!! My technique involved choosing to walk through slush and mud as much as possible over ice. Walking near something I could hold on to. When walking on a slanted sidewalk, always walk nearest the bottom part of the slant so as not to inevitably slide down there anyway. Do not try to keep pace with someone ahead of you, maybe they have more ice-walking skills and that’s fine but if you don’t then simmer down and stay upright! 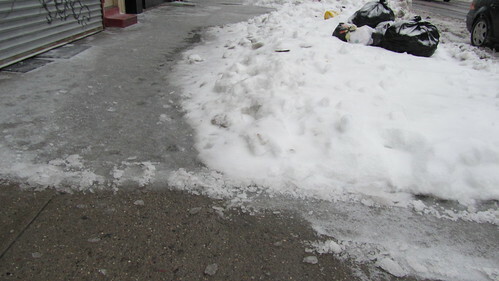 It amazed me that there were a few shop owners out in the wee hours of the morning already clearing ice from in front of their shops making my walk a little safer. Thank goodness for the minor reprieve they gave me! By the time I reached the train platform however, I was sweating from the stress of keeping my balance as though I’d just completed a workout. Then oddly once I was safely on the train I felt invigorated and ready for more! That’s the thing about living here, it’s challenging but even the smallest achievement gives you the energy to take on the next one. We live in this world where life just goes on. No matter how much I wanted to turn around and walk back into my building when I got a good look at the path ahead of me I kept going… everyone else was surely well on their way to work and school? Well, turns out my trains were not as full as normal but that’s besides the point. As a little treat for making it all the way to work a whole half hour early I decided to treat myself to Starbucks which was just another block walk which surely wasn’t too icy. With coffee in one hand and camera in the other I decided to capture the icy situation on my way to the office and realized that that’s pretty much my m.o. – girl with camera and coffee. I like it though. This entry was posted in everything i've blogged, observations and tagged Firsts, ice, Ice storm, walking. Bookmark the permalink.